With the state of the web these days, you might think social sites will ultimately be the only place for content. Think about it: LinkedIn has a thriving publishing platform, YouTube has a daily presence in our lives, Facebook’s Instant Articles allows sharing directly inside the Facebook app and Twitter might allow longer tweets. Instagram, Snapchat and Pinterest are already original content hubs for images. And with ridiculously easy sharing, in essence, all of these (and many others) are really just content syndicates. That’s fine for you, the consumer. For you, the business, it’s not a great strategy. 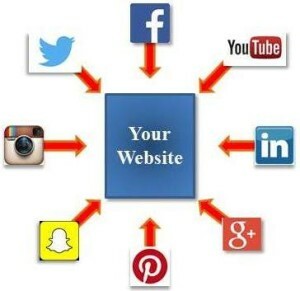 Social links (back to your site) are valuable. They boost SEO and give search engines and viewers valuable information about what you do, what you sell and who you are. You don’t want to become completely dependent on someone else’s platform. From perpetual interface changes and new features to a site falling out of favor with its finicky audience, your content shouldn’t rely on social platforms. They’re ever-changing and scatterbrained in their philosophies. In a relatively short time, as history proves, most will be dead. Social is the power behind sharing, but not buying. The ideas of “viral” and “shareable” are valuable, and social is certainly the stage on which they’re set. But real authority and true e-commerce should be your show, exclusively. In other words, while you should certainly optimize social media content for each specific platform where you publish, all roads should still lead back to you and your original authoritative content. Simple as that.